Centralized currency issue serves centralized production whereas regional currencies represent a democratization of currency issue, supporting local businesses and educating consumers about how their money circulates in the local economy. Much of this tendency for money to leave the rural areas and be sucked into urban financial centers results from the centralization of banking, which took place in the early part of this century under the Federal Reserve Act of 1913 and the pressure of World War I. Previous to 1913, local banks created their own funds based on their gold reserves. They were not dependent on the Federal Reserve Board to control reserve requirements-the amount of credit or money available within local regions. During the early part of the nineteenth century, this fact played a very important role in the rapid development of the U.S. 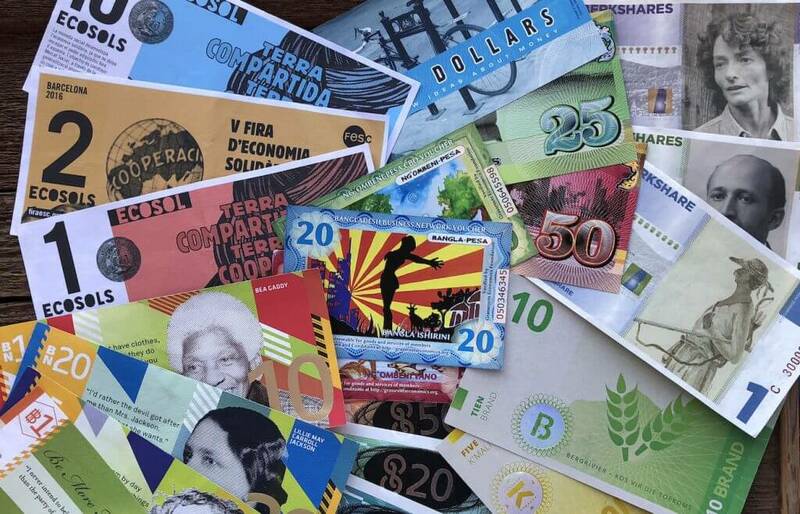 Commonplace during the early 1900s, local currencies are once again being recognized as a tool for sustainable economic development. In the early 1970's, Schumacher Center founder Robert Swann worked with Ralph Borsodi to issue Constants, a commodity-backed currency, on an experimental basis in Exeter, New Hampshire. The creation, circulation, and result of the Exeter Experiment is detailed in Inflation and The Coming Keynesian Catastrophe: The Story of the Exeter Experiment With Constants. The Schumacher Center furthered that work in the Berkshires with development of SHARE Micro-credit program, Deli Dollars, Berkshire Farm Preserve Notes, and BerkShares (see below). The theory, history, and practice of the Schumacher Center for New Economics' work with local currencies is detailed in Democratizing Monetary Issue: Vision and Implementation in the Berkshire Region of the U.S. by Susan Witt. 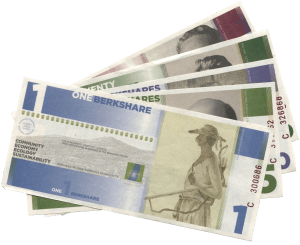 BerkShares are a local currency for the Berkshire region of Massachusetts. Dubbed a "great economic experiment" by the New York Times, BerkShares are a tool for community empowerment, enabling merchants and consumers to plant the seeds for an alternative economic future for their communities. Launched in the fall of 2006, over seven million BerkShares have circulated in the Berkshire region. 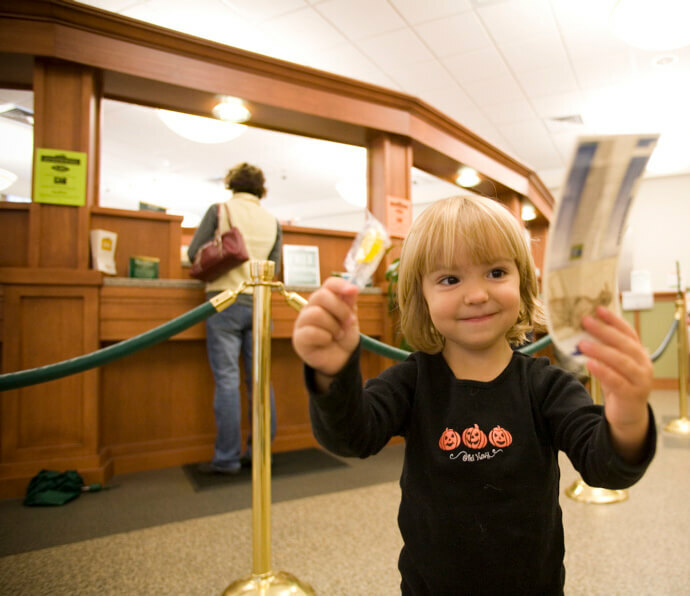 Federal currency is exchanged for BerkShares at eight branch offices of three local banks and spent at 400 locally owned participating businesses. The circulation of BerkShares encourages capital to remain within the region, building a greater affinity between the local business community and its citizens. 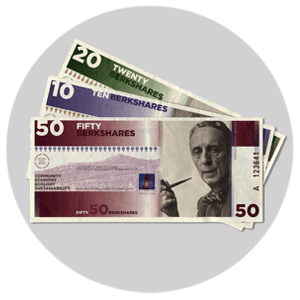 Anyone in the Berkshire Region may spend BerkShares or accept BerkShares for payment. BerkShares can be obtained participating bank branches in exchange for U.S. dollars at a rate of 95 cents per BerkShare. These federal dollars remain on deposit at the BerkShares Exchange Banks in order to allow citizens to redeem BerkShares for dollars at the same exchange rate. For example, 95 dollars yield 100 BerkShares and 100 BerkShares yield 95 dollars. BerkShares can be spent at face value to pay for the goods or services offered by participating businesses—for example, 10 BerkShares can be used for a $10 purchase. There are 400 businesses in the Berkshire region that accept BerkShares. Use the BerkShares, Inc. interactive directory to explore where to spend your BerkShares. Learn more about using BerkShares, and discover what local banks are currently exchanging BerkShares. The back of each BerkShares note features the artwork of a different Berkshire artist. The front of each BerkShare features the portraits of a different local hero: a Stockbridge Mohican, civil rights activist and founder of the NAACP W. E. B. Du Bois, pioneering woman farmer Robyn Van En, writer and environmentalist Herman Melville, and beloved illustrator Norman Rockwell are all celebrated. 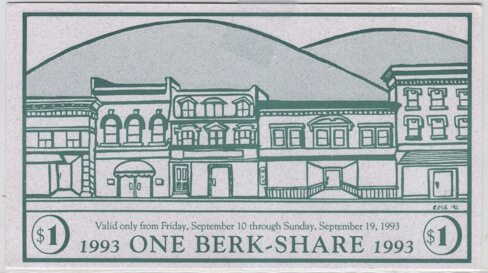 1993: "Berk-shares", precursor to BerkShares, issued by owners of local businesses in Great Barrington. 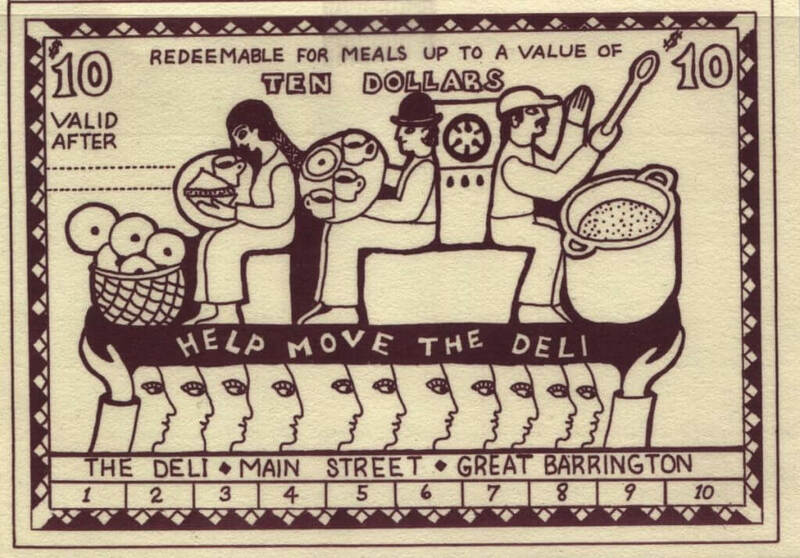 Deli Dollars were issued by deli owner Frank Tortoriello to finance the move of his business from one location to another. Berkshire Farm Preserve Notes were jointly issued by two Great Barrington farms, The Corn Crib and Taft Farm, to finance start-up in the spring, and could be redeemed once produce was ready to be harvested. "Berk-shares" were issued by merchants in downtown Great Barrington to reward customers for shopping in locally owned stores. To learn more, read Susan Witt's essay Democratizing Monetary Issue: Vision and Implementation in the Berkshire Region of the U.S. In These Times : Not Your Grandma’s Wooden Nickel: Fears of global economic instability spawn DIY money. View all print and television coverage of BerkShares (international, national, and regional).